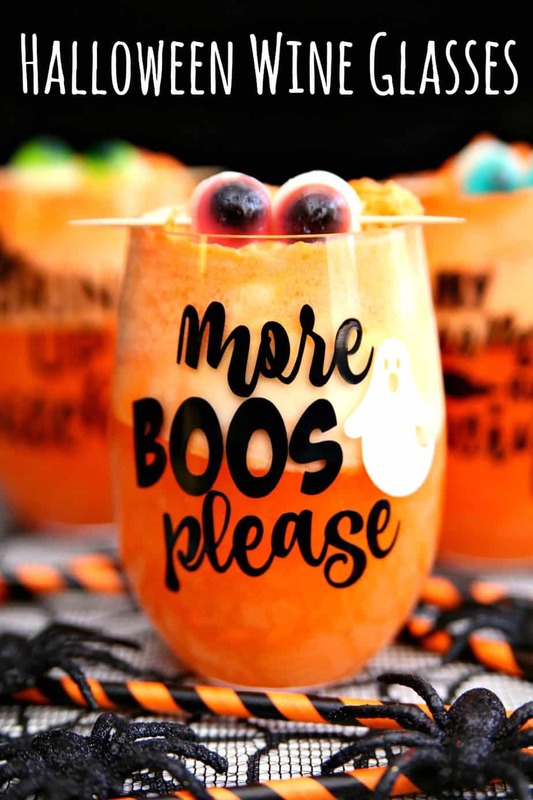 Make these adorable Halloween wine glasses in less than 15 minutes. Then, sit back with a little spiked Halloween punch and have some fun! It’s time for another round of Craft Lightning and it might be the best one yet! Not only is this round’s theme Halloween but we’re also giving away a brand new Cricut Maker. Woohoo!! How fabulous is that?! Craft Lightning is all about making craft projects that take 15 minutes or less to whip up. And, thankfully, my awesome Cricut makes it super easy to make lots of great DIY projects. I LOVE my Cricut for so many reasons but I’m definitely obsessed with using it to decorate wine glasses. You can never have too many wine glasses! On Halloween we walk around with the kiddos and the moms all drink wine together. It’s a fun little tradition:) Well, we can’t drink wine on Halloween without fun wine glasses. 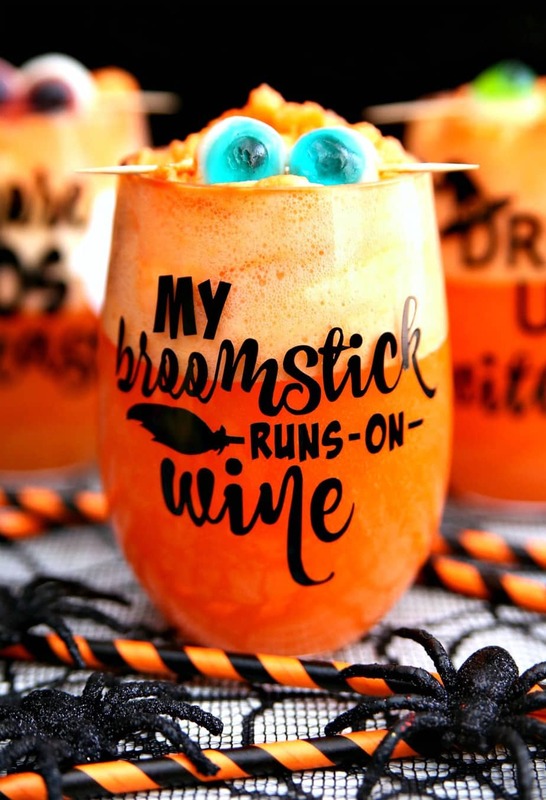 So let’s make some fun Halloween wine glasses! Upload the SVG Files to Cricut Design Space. Add vinyl to cutting mat and place in Cricut. Let your Cricut work it’s magic. Remove vinyl around letters. Use the transfer tape to transfer vinyl to your wine glasses. That’s it! Now you’re ready to sit back and enjoy a glass of wine in your Halloween wine glasses. 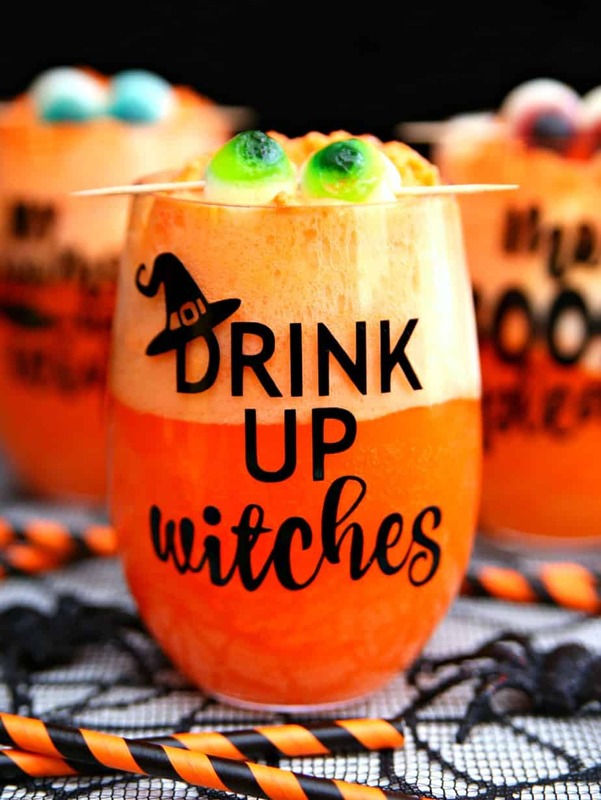 But, of course, you need a festive Halloween drink. I made a fun Halloween punch that is spiked with sparkling wine. It’s pretty easy to make and perfect for Halloween. And, feel free to omit the sparkling wine for a fun drink the kids van enjoy too. Mix one part soda with one part sparkling wine. Add scoop of ice cream to wine glass. Fill glass with soda/wine mixture. I love the Halloween cut files I designed for these wine glasses and I’m so excited to share them with all of you. Download and print the free SVG files HERE. Now I’m officially ready to start decorating for Halloween! What about you? Have you pulled out your Halloween decorations yet? Want to win your very own Cricut Maker so you can make these wine glasses and so much more? 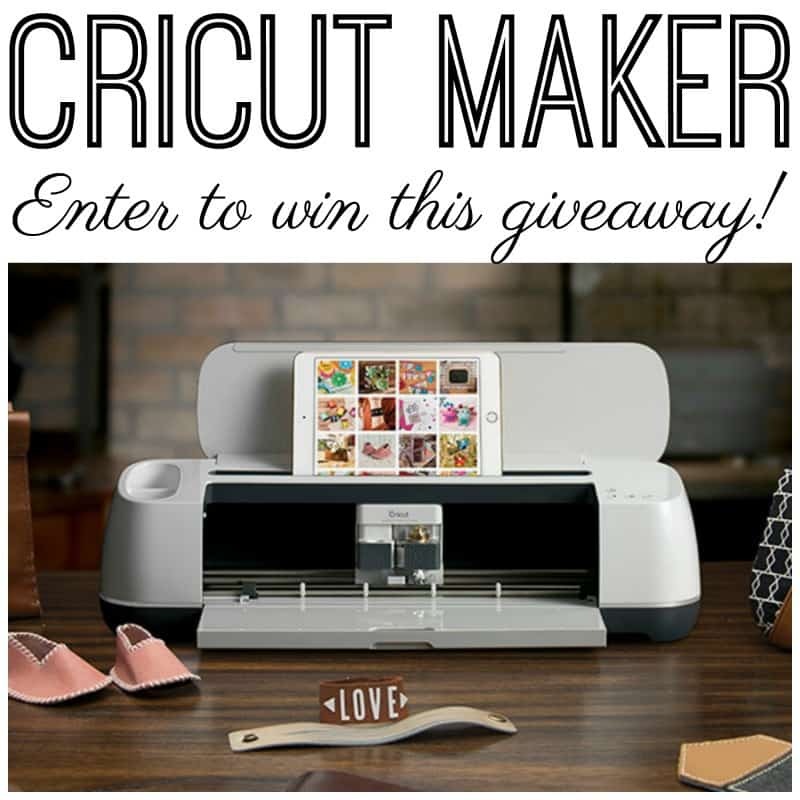 Use the form below to enter the Cricut Maker Giveaway. 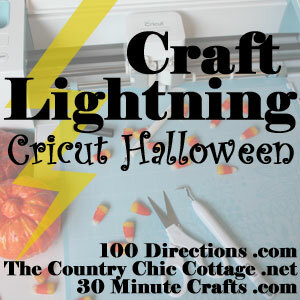 And, make sure you check out more fun Craft Lightning Halloween projects! Wow! So many great things in one post. We have a 15 minute Halloween craft, a festive Halloween drink recipe, free SVG cut files, and a giveaway for a Cricut Maker. What a fun day!! 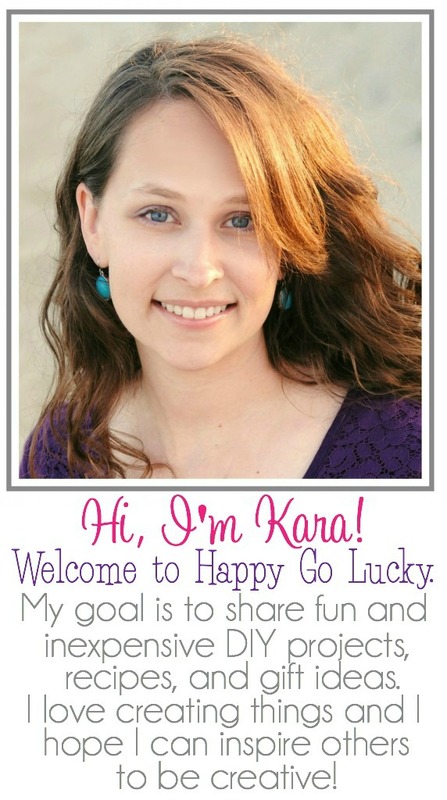 Cheers to a 15 minute craft and a fabulous giveaway! These are great! Thank for joining! These glasses, that drink, those garnishes… I love it all! I made a dozen glasses but I can’t figure out how to make the eyes. Is this a candy I can purchase?